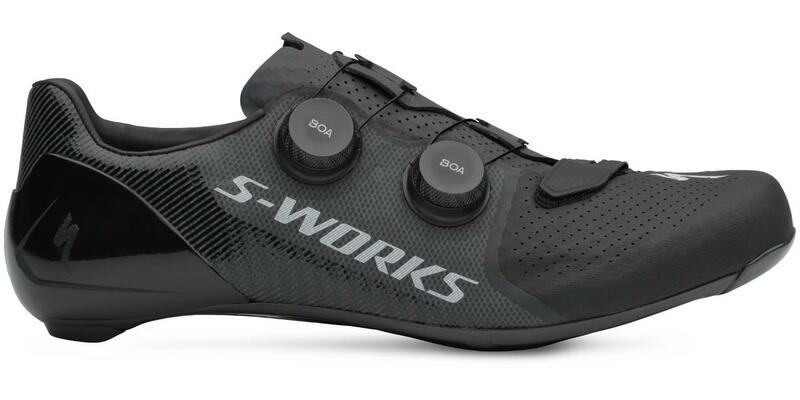 It's no secret we really liked the previous S-Works 6 shoes. They were close to perfect, but there are a few interesting areas where Specialized has found improvements, and why we think they are worth upgrading to. The raft of seemingly minor changes to the new S-Works 7 adds up to provide a noticeable improvement in fit and comfort in several key areas. But the first thing you notice when pulling them on is the new machined aluminium dials. They are just wonderful to use, as tactile as switchgear on a high-end car or hi-fi. We could spin and rotate the dials all day, they are that satisfying to use. 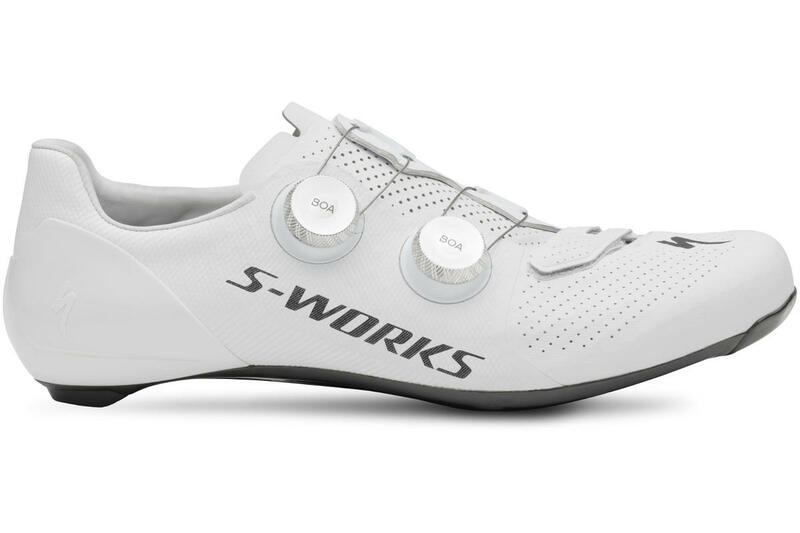 Eventually, though, you have to ride your bike, and that's when you notice the improved fit and comfort the S-Works 7 shoes provide. The newly offset and angled opening across the top of the foot does a better job of spreading pressure across the top of the foot and results in a noticeable increase in comfort. The revised upper and opening also make it much easier and less fiddly to get your feet in and out of the shoes compared to the old shoes. The tongue is now padded as well which is a change we're happy to see and makes comfort across the top of the foot much better. 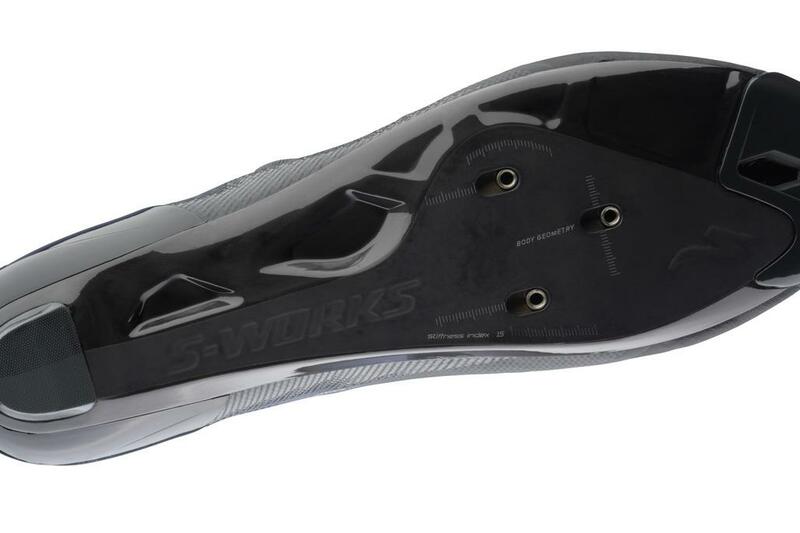 The toe box volume on the previous S-Works 6 shoes was on the small side, so by increasing the volume on these new shoes the comfort around the front of the foot is much improved. Heel lift is the last thing you want in any shoe. To combat this, the heel cup (Specialized called it PadLock) was redesigned on the previous shoes and resulted in a very secure fit. For the new shoes, it has been redesigned again. It's now a little softer for more comfort in this area, but it still manages to provide that locked in feeling just without any compromise in comfort at all. Critically, it still offers that real sense that your heel isn't going to lift out of the shoe when you're really laying down the power. Specialized says it responded to feedback from pros like Peter Sagan for more stiffness, so it redesigned the carbon sole, moving material to the centre section to reduced flex without adding any weight. The stiffness rating has increased from 13 to 15. Is the difference noticeable? At this time of year, with winter layers on, it's hard to really detect any massive increase in stiffness. We even chucked in a few playful sprints and big gear climbs to see if we can feel any difference, but to be honest we were hard-pushed to feel that increased stiffness. Maybe in the summer months when the layers come off and race season starts we'll appreciate that change more. We do appreciate that fact the weight hasn't gone up for that extra stiffness. Setting the shoes up is easy. There's the same 3-bolt cleat drilling with generous markings for accurately lining up both cleats perfectly. You get Specialized's own insoles which are available with a range of arch support, and it's now offering its own custom insoles, but of course, at Bespoke Cycling we can create customised insoles for you to extract as much comfort as possible out of your new shoes. First impressions then are very good. The comfort has been improved, both around the heel and toe box and across the top of the shoe. Getting in and out is much easier, and the machined dials are lovely to use. They're stiffer as well, but for most people, it's the improved fit and comfort that is going to be most appealing and reasons to upgrade. 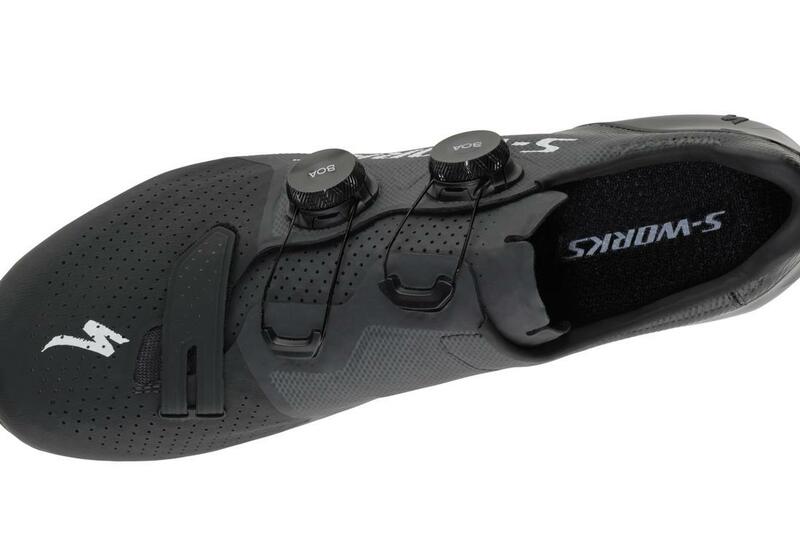 We'll update this first ride as we log more miles in the new S-Works 7 shoes. And check out the Special Edition LTD colourway - available while stocks last... We have them in stock in a range of sizes, but once they're gone, they're gone!